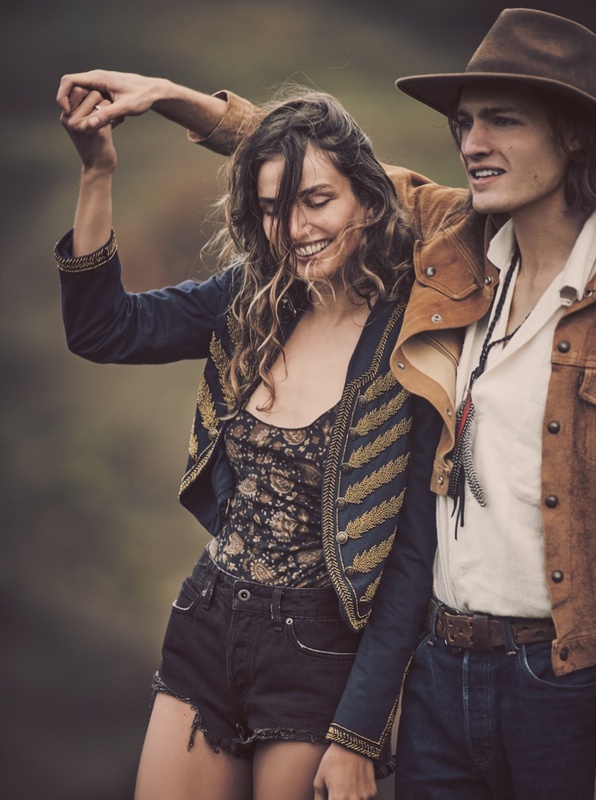 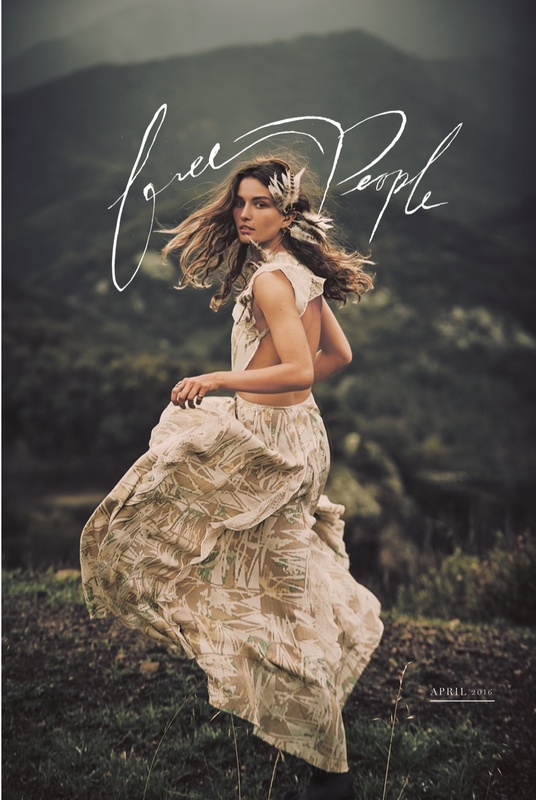 Keeping up with Coachella in mind, fashion label Free People brings a festival fashion inspired lookbook for April 2016. 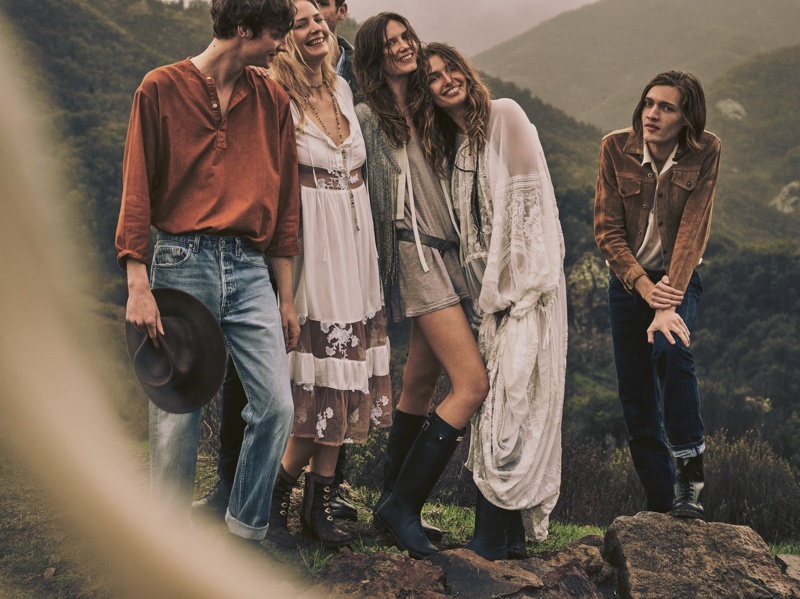 Starring models Andreea Diaconu, Drake Burnette and Camilla Deterre, the lookbook takes to the picturesque location of Santa Monica mountains. 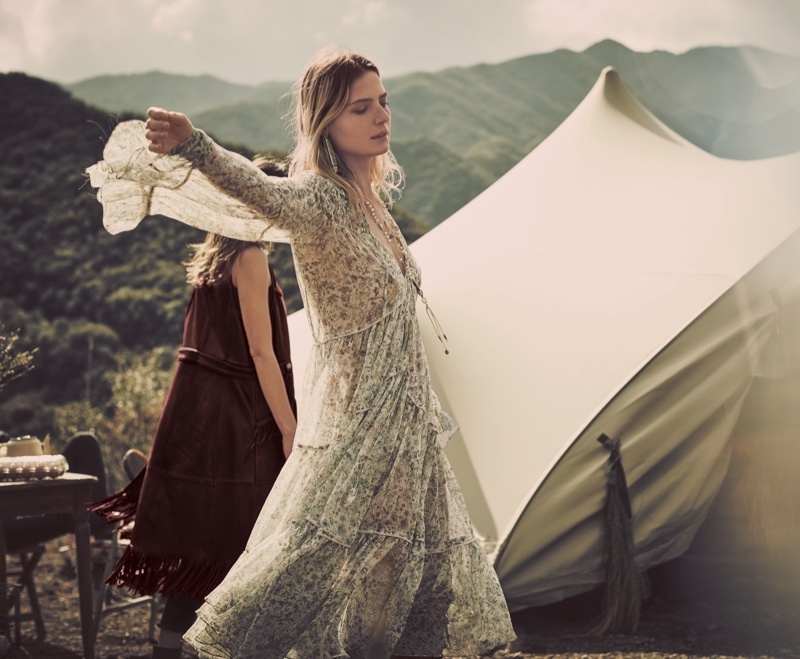 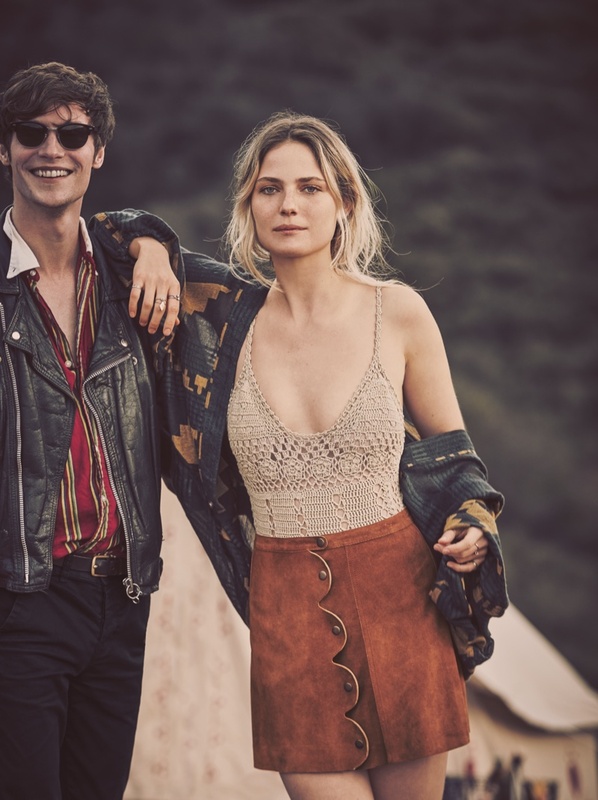 Lensed by Guy Aroch, the models flaunt bohemian fashion essentials of flowing printed maxi dresses, suede skirts, crochet tops and fringe adorned ponchos. 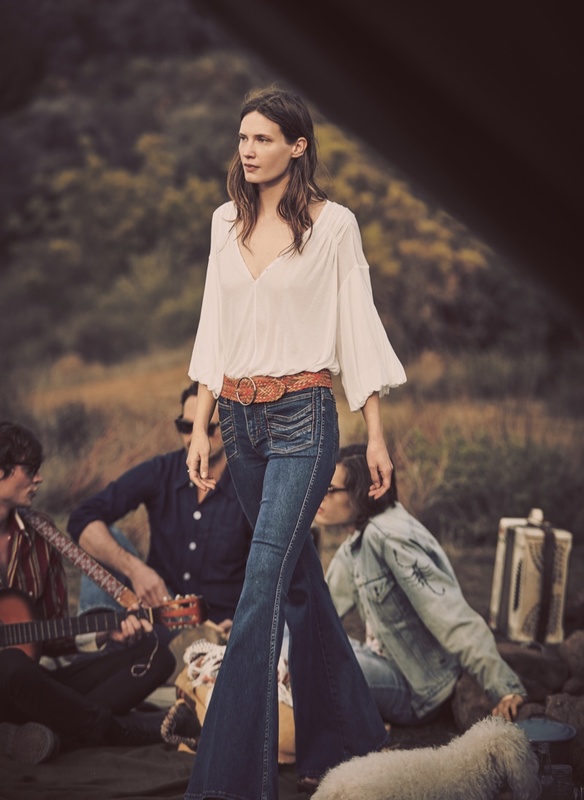 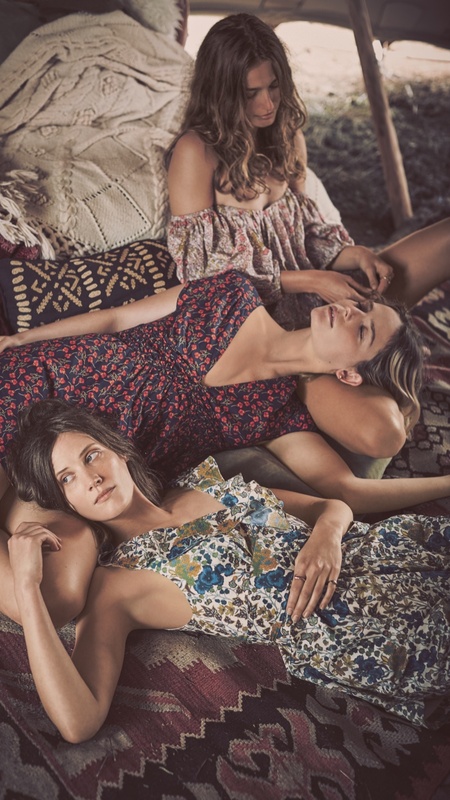 Free People's Liberty Collection of eclectic prints is also seen in the lookbook.